Has your flashlight ever stopped working because the batteries were dead? It’s no fun walking around in complete darkness. Batteries are everywhere—in our toys, in our cars, in our flashlights and cell phones. But how do they work? What makes them stop working? You can learn how to make a lemon battery to learn more about these very important devices. Ask your grown-up to use the wire strippers to first StripAbout 2 1/2 inches of plastic insulation off the copper wire. Then, request that the grown-up ClipThat piece of stripped wire off of the main roll. Carefully straighten the steel paper clip. Use the wire clippers to cut it to the same length as your copper wire. 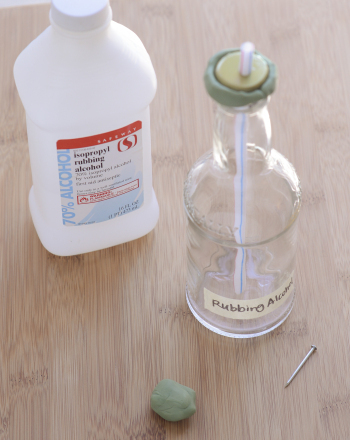 Use the sandpaper to rub out any rough spots in your wire or paperclip. 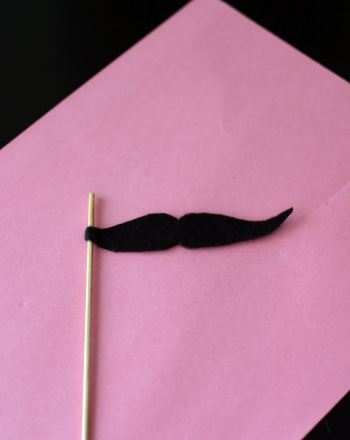 You are going to be touching the wire ends to your tongue, so you want them to be smooth. If you are using the zinc covered nail or piece, scratch it lightly with the sand paper to expose a fresh surface. 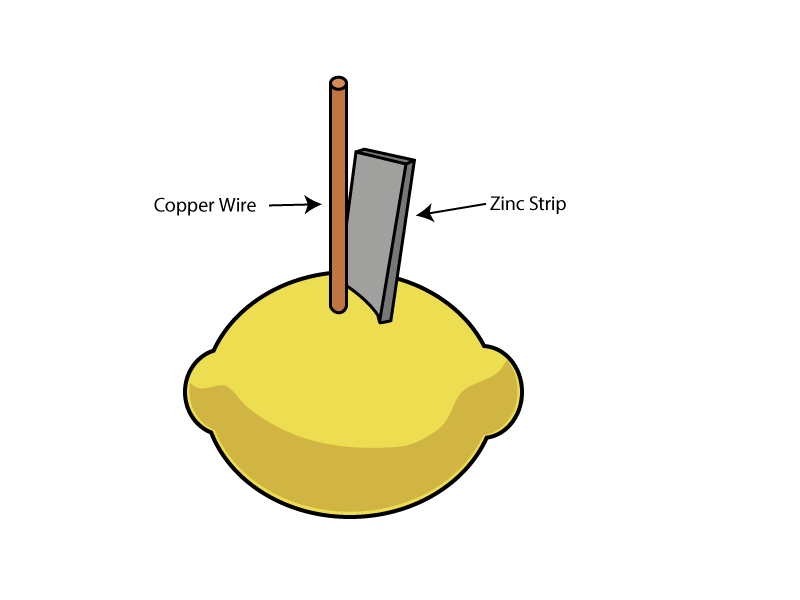 Roll the lemon gently on a table to break the cell walls and loosen up the juice inside. The sour juice is needed for the Chemical reactionThat you are about to start. The fact that the juice is sour should give us some hints about what kind of chemicals make up lemon juice. What do you think the sour flavour might tell us? Carefully stick the copper wire about 1 inch into the lemon. Make sure your tongue is moist with Saliva, or spit. Touch your tongue to the copper wire. Do you notice anything? 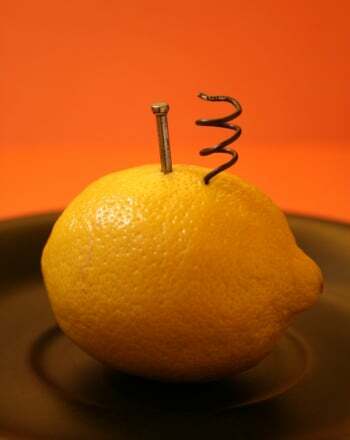 Stick the paperclip, zinc covered nail or zinc strip into a spot in the lemon about 1/4 inch away from the copper wire. Make sure the wires don’t touch. The wires need to be close to each other because they will be swapping matter in the chemical reaction. If they are too far apart, the matter might lose their way. This time, touch your moistened tongue to both wire ends. What do you notice? When you touched your tongue to just the copper wire, you most likely would not have noticed anything unusual. When you touched your tongue to BOTH of the metal ends, you might have felt a tingle, or noticed a metallic taste. The tingle or metal taste you noticed shows that your lemon battery was generating an Electric current. That means tiny ElectronsWere moving across the surface of your tongue. Electrons are subatomic particles that zoom around an atom’s centre and make up the part of the atom that is negatively charged. The lemon battery you made is a type of battery called a Voltaic battery. These types of batteries are made of two different metals, which act as Electrodes, or places where electrons can enter or leave a battery. In your case, the electrical current entered your tongue, which is why you felt a tingle. So why were we able to stick electrodes into a lemon and get a battery? All voltaic batteries need their metals to be placed in an Electrolyte. 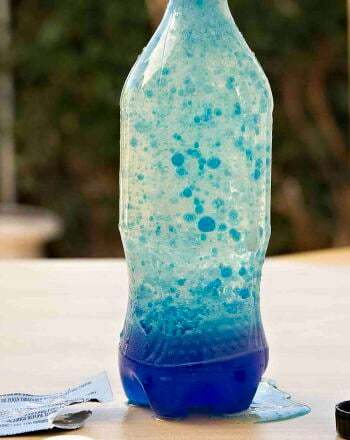 An electrolyte is a substance that can carry electrical current when dissolved in water. The tiny bit of salt in your saliva makes your saliva an electrolyte, and the sour Citric acidDoes the same thing for lemon juice. Batteries stop working when there is not enough of the electrolyte to react with the metal or not enough metal left to react with the electrolyte. You can generate more electrical current by connecting multiple lemon batteries. Just make a second battery and connect the zinc or steel piece of one battery with the copper wire of the other battery using another piece of copper wire to act as a bridge. You can use your enlarged lemon battery to power a low-power device like a digital watch or calculator. Remove the regular battery from the digital watch or calculator. Then, hook up the copper electrode of your lemon battery with battery slot’s positive contact. Connect the zinc or iron electrode with the negative contact. Can you get the device to work? 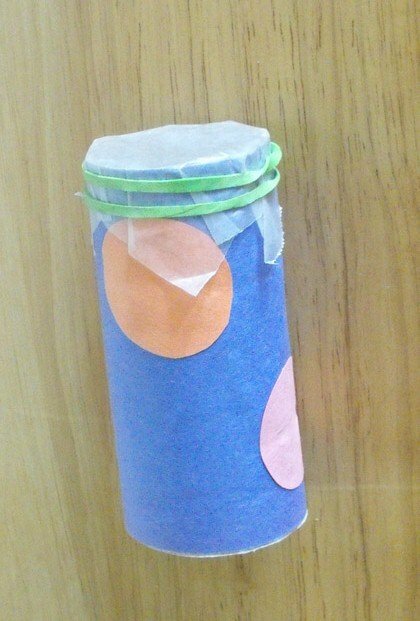 If you are looking to test a variable, try making batteries using different fruits and vegetables. Which ones produce the biggest tingle on your tongue? Which ones generate the most electric current? On a hot afternoon there is nothing better than a cold drink. 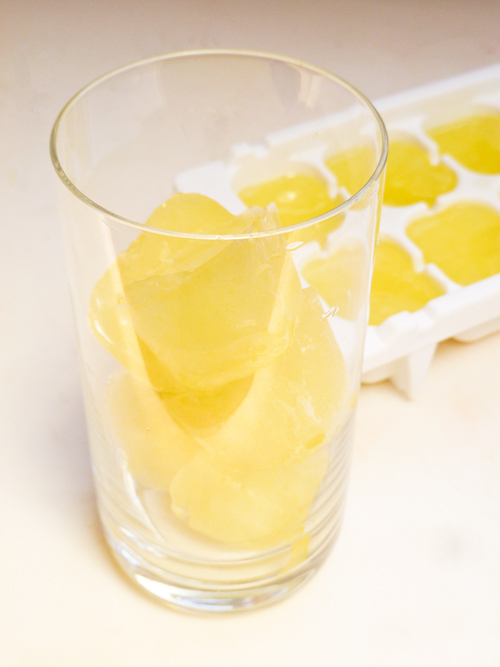 Instead of making lemonade, your child can have lemon ice cubes ready to munch! 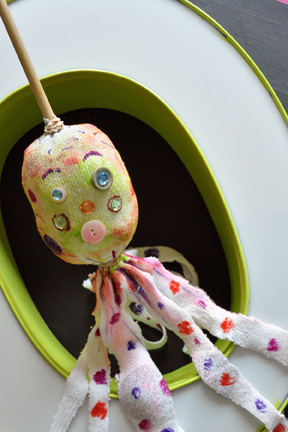 Make cleaning fun with a duster made from a decorated tube sock. Travel back in time and make your very own tricorn hat that will be the perfect addition to any Revolutionary War costume! 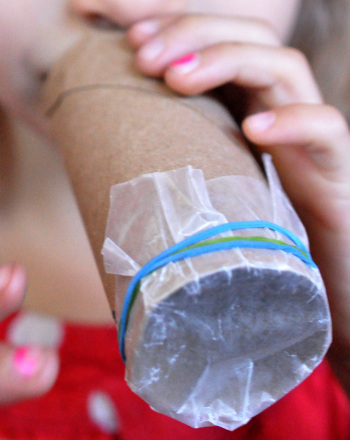 Is your little scientist up for a rocky challenge? 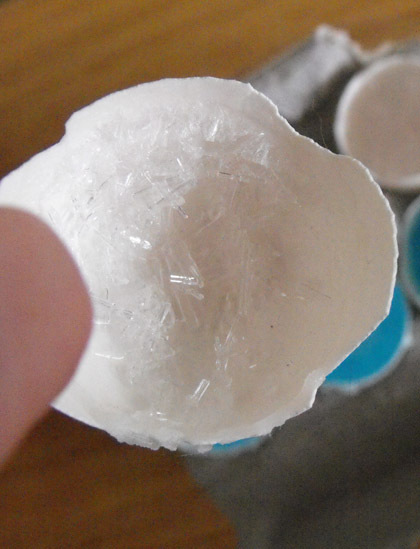 Let them make their own geode rocks using eggs and epsom salts! 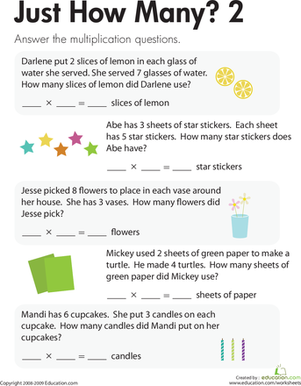 Just how many lemon slices, star stickers, or picked flowers are there? 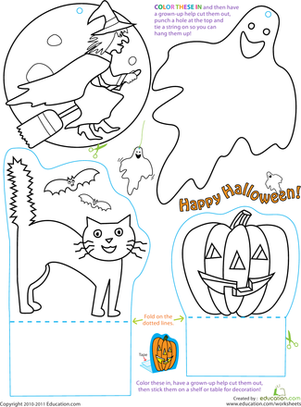 In this maths worksheet, kids will solve simple multiplication word problems.